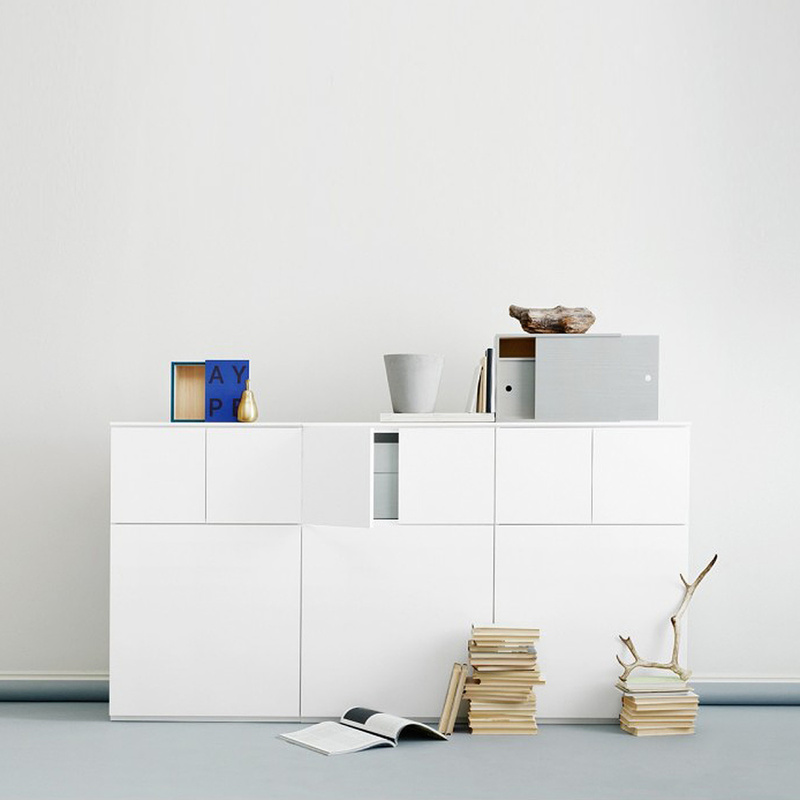 Designed by Helorinne & Kallio, this Fuuga storage unit is ideal for any environment, from the bedroom of your children to your office. 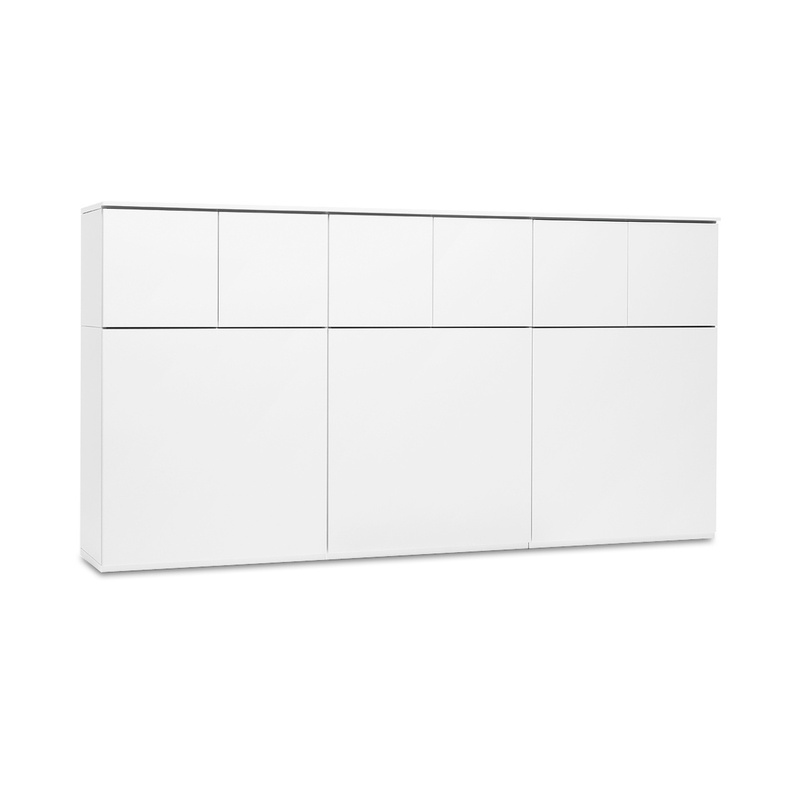 Fuuga is made of white lacquered mdf and consists of six modules and a shelf. 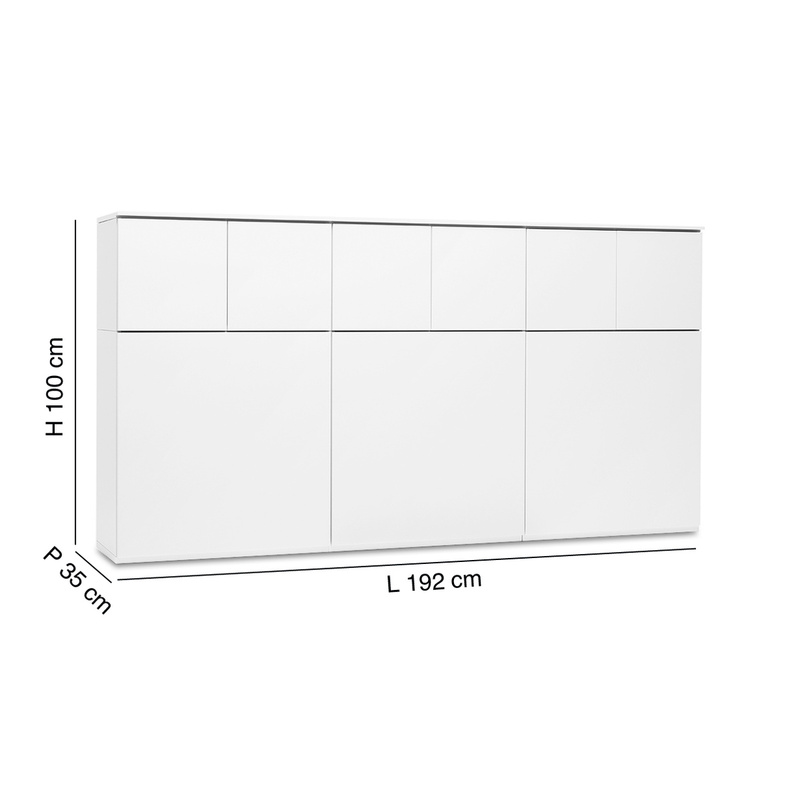 Inside the three rooms, located in the lower part and having height and length equal to 64 cm, 3 shelves are positioned, one for each module. Above them, there are three other modules, of a height of 32 cm, each one openable with two small doors. All the doors of Fuuga are equipped with Tipmatic system, which allows them to be opened with a light and simple pressure. This furniture can also be fixed to the wall.